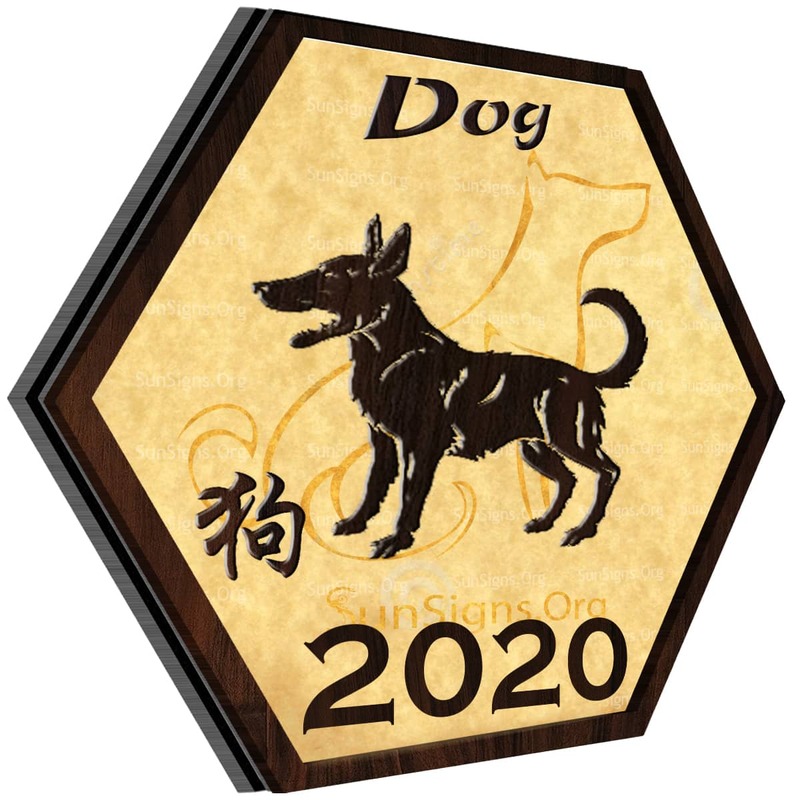 Home » Chinese Horoscopes 2020 » Dog Horoscope 2020 – Free Astrology Predictions! Dog horoscope 2020 foretells that this is a year of new beginnings. There will be many subtle changes in your life this year. But you will also have the opportunity to make even larger changes as the year goes on. Be yourself this year, and you are sure to succeed, no matter what kind of conflicts come your way. People who are born in the year of the dog are often said to be dogmatic. All puns aside, people born in the year of the dog have many many positive personality traits; they are said to be loyal, honest, temperamental, sensitive, and energetic. All of these traits will affect their overall mood, personality, and lifestyle. All of these things can influence how a person born in the year of the dog will act during 2020, which can directly affect their Chinese 2020 horoscope! Will the dog get married in 2020? Any relationship problems that you had last year are likely to fade away this year slowly. You will be able to find what you want in a relationship more clearly this year. This will help whether you are already in a relationship or not. If you are already in a relationship, you should tell your partner what you want and need from them, and listen to what they need as well. If you are single, then you can figure out what kind of person you want to date before you begin dating. Expand your thoughts on love and romantic relationships, and you are sure to have new opportunities for love come your way. Don’t settle for poor friends this year. Only spend your time with the people who like you just for being you. Your family should also accept you are, or else they’re not worth spending time with. Hang out with people that make you feel happy; ignore those that don’t. Will the dog have a baby in 2020? Decide well with your partner. The 2020 dog predictions suggest that you are likely to feel more lucky at work this year. But this is probably because you are also more likely to work harder this year. Make sure that you pay close attention to detail on your projects because missing parts could get you in trouble. Try to maintain healthy relationships with your co-workers and superiors. They are sure to be able to help you during your average work day. Don’t forget about your goals and dreams at work. Your current job is not likely to be your final destination, but a stepping stone to get to somewhere greater. Since the Chinese zodiac dog are likely to be working more, you are also likely to make more money this year as well. This influx of cash can help you to pay off past debts and should be able to help you to avoid getting in more financial trouble this year as well. You will feel like you have extra energy this year. Some obstacles will come your way when it comes to your health. But it’s nothing that you won’t be able to overcome with time. Try to keep your body healthy by eating right and exercising. Don’t forget to keep your mind healthy as well; having creative hobbies can help with this. January 2020 will be a fulfilling and stable month as you will progress in all aspects of your life. February 2020 is a period when you will need the advice of people who care for you to make the right decisions. March 2020 is a month when you need to keep check of the money you are spending. You will need to keep an open mind when it comes to career and business. April 2020 is when you must decide if money is the only thing that matters in your life. Or is it your health that should be a priority in this 2020 Chinese year of the rat? May 2020 is a time when you might face a few challenges in your professional life. But help will come from unexpected quarters. June 2020 is a period of introspection and planning before making the first move. July 2020 is an auspicious month to begin a new venture or a new relationship. Everything you touch will work in your favor. August 2020 is when you will feel a little emotionally upset. But there is nothing to worry as you will be back on your feet before you know it. September 2020 is another month you will feel under the weather. But if you can hold out the lousy phase, then you will come out a winner. October 2020 will be beneficial for the Chinese dog sign. Finances and career will go to an all-time high. November 2020 is when you should not let your success blind you. Be careful of situations where you might have to bear a loss. December 2020 is the ideal month for new beginnings, travel, love, and going on an adventure. 2020 yearly Feng Shui prediction for the dog says that it will be a mixed year when it comes to relationships and finances. Rooster horoscope 2020 predicts that this year is about changes, small and large. You need to decide what is best for you in 2020; what is best for you this year may not be what had been good for you in past years. Keep an eye out for opportunities that can help you to advance in any aspect of your life. Keep in touch with good friends, and don’t forget to enjoy yourself in 2020! Previous Rooster Horoscope 2020 – Free Astrology Predictions! Next Pig Horoscope 2020 – Free Astrology Predictions!